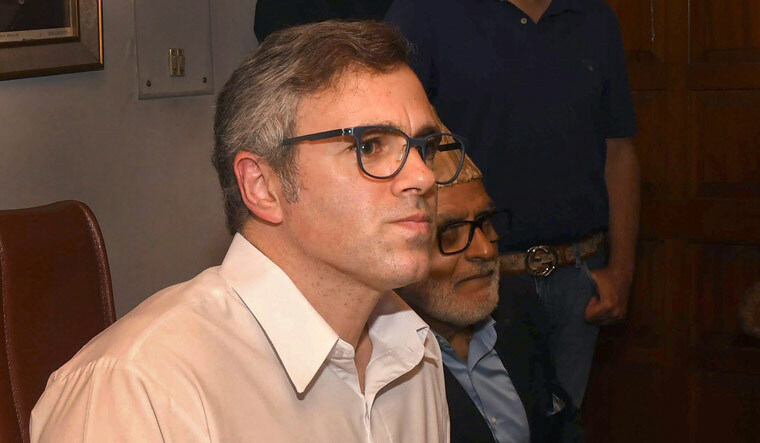 National Conference leader Omar Abdullah has questioned the Narendra Modi government's participation in a dialogue on Afghanistan in the presence of Taliban representatives while holding no talks with stakeholders in Jammu and Kashmir. "If 'non-official' participation in a dialogue that includes the Taliban is acceptable to the Modi government why not a non-official dialogue with non-mainstream stake holders in J&K? Why not a non-official dialogue centered around J&K's eroded autonomy & its restoration?" Abdullah tweeted on Thursday night. India had on Thursday said it would participate in the dialogue hosted by Russia at a "non-official level" in Moscow. The Moscow-format meeting on Afghanistan will be held on November 9 (Friday) and representatives of the Afghan Taliban radical movement will take part in it, the Russian Foreign Ministry had said last week. "We are aware that the Russian Federation is hosting a meeting in Moscow on November 9 on Afghanistan. Our participation at the meeting will be at the non-official level,” Ministry of External Affairs Spokesperson Raveesh Kumar said. He said India supported all efforts at peace and reconciliation in Afghanistan that would preserve unity and plurality and bring security, stability and prosperity to the country. According to Russian news agency TASS, this was for the second time, Russia was attempting to bring regional powers together while discovering ways for establishing peace in war-torn Afghanistan. The first such meeting, proposed for September 4 of this year, was called off at the last moment after the Afghan government pulled out, describing its involvement in the Moscow meeting as "unnecessary" as the Taliban had "disrespected internationally-sanctioned principles and rejected the message of peace and direct negotiations". According to the Russian Foreign Ministry, invitations to take part in the event had been sent to Afghanistan, India, Iran, China, Pakistan, the US and some other countries.